At VAC Group, we are the leaders in the non-destructive digging, vacuum excavation,utility locating, soil disposal and soil removal industry. Our professional and reliable team and fleet are always compliant to work health and safety standards as well environmental legislation and focus heavily on the safety of our employees, as well as other members of the community. Our company motto is Confidence in Construction and it is for this reason why we are the leaders in the vacuum excavation industry. 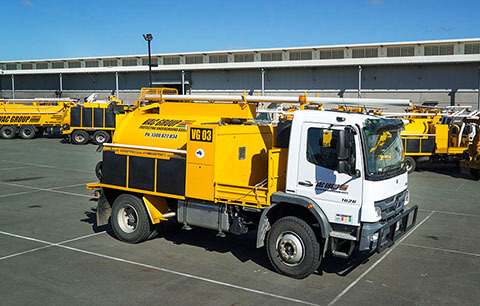 VAC Group is trusted by large civil and infrastructure companies such as BMD, Downer, Fulton Hogan and Broad Spectrum as well as various local governments both here in Australia and in New Zealand, to get the job done right, efficiently and professionally, no matter the size or terrain. Yatala, Queensland is home to our national headquarters, but we have depots located around Australia and New Zealand including Brisbane, Gladstone, Sunshine Coast, Gold Coast, Adelaide, Melbourne, Sydney, Wellington, Auckland and Christchurch. Our 3000L Vacuum Trucks and 6000L Vacuum Trucks are available for hire. VAC Group offers both long-term and short-term hire of our sucker trucks. We can also provide our vac trucks for both wet hire and dry hire and depending on your project requirements we can cater a quote to your specific needs. We maintain our fleet to the highest standards to ensure they are safe, reliable and ready to perform before they roll out of the depot to commence a project, throughout the project lifecycle and to completion. Available in various sizes such as 3000L Vacuum Excavation Trucks and 6000L Vacuum Excavation Trucks, our extensive fleet is prepared to tackle any project from residential, urban, commercial and remote areas across Australia and New Zealand. VAC-U-DIGGA units are also available for sale and are handmade in our state-of-the-art manufacturing warehouse on the Gold Coast. Built from Australian steel, VAC-U-DIGGA units are built tough for Australian conditions. Not only are we innovating our vacuum excavation units to be more efficient which saves you time and money on your project, but we have created the Soil Transfer System which turns the spoil from your job site into a recycled and clean spateable product which we can reuse to back fill your project. The VAC Group fleet of vacuum excavation trucks are second to none with home grown innovation designed specifically for the Australian environment and requirements. These enhancements include a flexible tiger hose with the ability to reach a job site up to 30m away from the vehicle without losing suction power. This means our vac trucks are 3-5 more times more efficient on your job site than any other vac truck of a similar horsepower. Something you may notice on our vacuum trucks is the lack of a boom. Our patented design does not require a heavy, bulky boom and with the saving in tare weight our vac trucks are able to take on more capacity which results in less trips to dump the spoil. Starting with utility locating using our innovative and state of the art Earth Radar GPR equipment, we map out and locate underground utilities, services and assets. Then using our VAC-U-DIGGA vacuum excavation trucks, we meticulously and efficiently remove soil and debris, using a high-pressure water hose and powerful suction hose, to expose the underground services through non-destructive digging while keeping your job site clean. Finally, after the appropriate work has been completed on the underground assets, we backfill the trench with new or recycled spateable product from our Soil Transfer system and complete the job – start to finish. We have a strong track record and reputation as the industry leader in Australia by providing closed loop custom solutions to all projects, particularly those involving the protection of underground utilities. Our solutions provide and ensure the protection of underground assets and deliver a start to finish approach to any job should it be required. Since the inception of VAC Group in 2000, we have strived to bring the latest technology and innovation to market for true non-destructive digging and vacuum excavation of underground utilities and all underground services within Australia and New Zealand. Vacuum Excavation is the removal of soil, spoil, dirt and debris via a high-pressure water jet rodder while the contents being removed are suctioned up into the vacuum unit. This service is used to safely expose underground utilities so they can be repair, replaced or relocated. This practice is also used to safely excavate around tree roots without compromising the integrity of the tree. 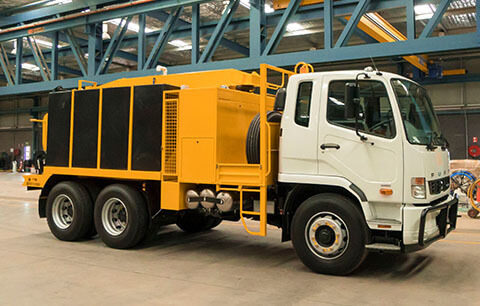 These vacuum trucks are also referred to as sucker trucks, which can also provide the same protection of underground assets and utility services. At VAC Group, we provide our clients with full circle solutions that protect the integrity of underground assets, by supplying utility locating services, underground services mapping, non-destructive digging and vacuum excavation services. Our clients include private companies, Federal, State and Local government organisations all undertaking predominately infrastructure projects, as well as civil and building works. As a professional service provider, Vac Group can transport manage and dispose of client material and waste. VAC Group also maintains and can prepare Environmental Management documentation including plans, procedures and the like. Our Computer Assisted Radar Tomography (CART) provides high resolution 3D imagery of the subsurface, showing underground utility lines and objects. Offering Australia’s most innovative waste and soil disposal and removal solutions with our new patented soil recovery and transfer system. We can improve your hydro excavation project’s productivity and save you money. Advanced topographic survey and utility survey technologies to reduce or eliminate the risk associated with working around underground services, cables and utilities. Underground services detection & asset location, utility location & mapping, & safe vacuum excavation services nationwide. Looking to expand your fleet? We have a reputation for quality new & used Vac-U-Digga vac trucks for sale. Professional non-destructive hydro vacuum excavation services performed by our skilled vac truck operators.